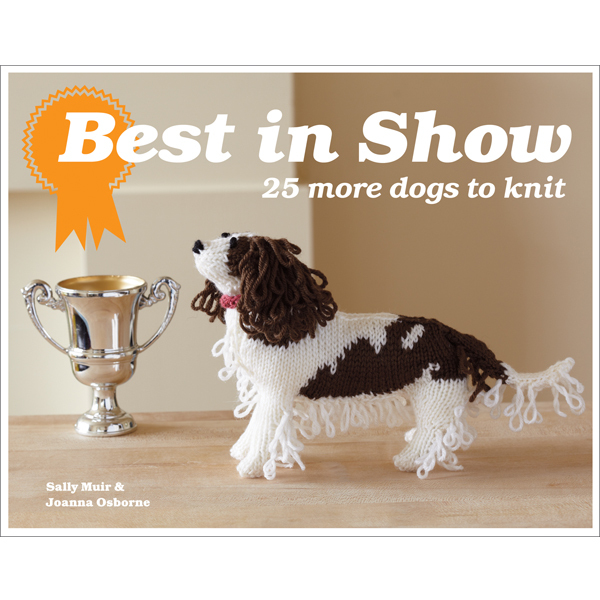 When we finished Best in Show: Knit Your Own Dog, we thought that we had covered a pretty comprehensive assortment, but there are many more popular breeds of dog than we ever imagined. People have expressed outrage at the omission of their particular pet and we can only apologise and hope to remedy this with Best in Show: 25 More Dogs to Knit. Here, we offer you yet more dogs, another 25 to knit. There were various glaring omissions in our first book: very popular dogs like the Retriever, Boxer and Border Terrier, which we have now created for you. We know that we still haven’t covered all breeds, but we hope with the 50 canines now available we have included most basic dog types. If you have a very specialist dog which we haven’t included, and there will be some (over the past two years we have been asked for Lancashire Heelers, Coton de Tulears, Ovcharkas and Glen of Imaal Terriers), we hope that with your own knitting skills you will be able to adapt one of our patterns to make your own unique dog. There are many uses for the small knitted dog: people have told us that they can be used to provide consolation for a friend who has lost their dog, comfort a homesick child with a tiny knitted version of a much loved pet, fob off the family who are braying for a pet, re-create their long-dead childhood friend, or mount their own miniature Crufts.